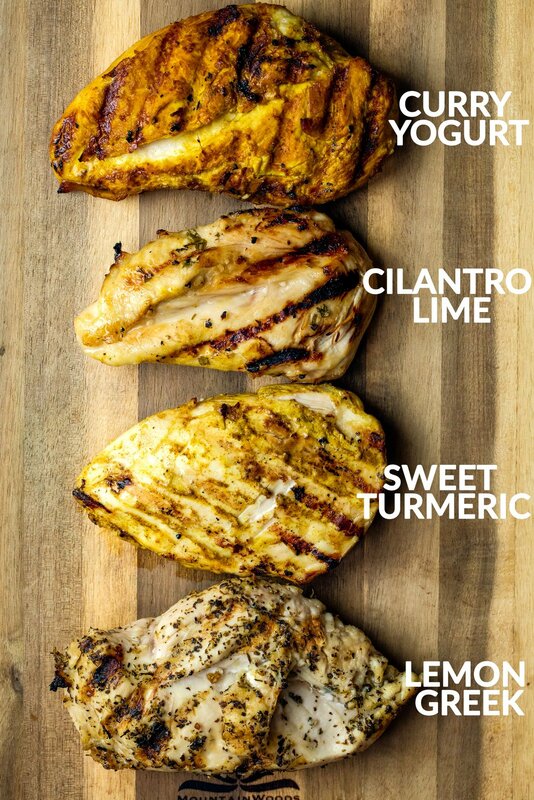 These four unique chicken marinades are perfect for adding delicious flavor to your chicken before grilling or baking, plus an introduction to my partnership with Just BARE chicken. Do you guys remember my behind-the-scenes video shoot on Instagram Stories in Minnesota? Well, if you were following along… part 1 of the final product is finally here! Abra and I flew to Minnesota to meet the Just BARE Chicken team and create some awesome new videos for their Living Lean & Clean Campaign. So what is the Living Lean & Clean Campaign? Just BARE is committed to promoting and celebrating the journey to healthier living with their Living Lean & Clean campaign, and it all starts with their chickens. They’re raised in humane conditions, never given antibiotics of any kind, and fed a nutrient-packed diet, which makes a huge difference in taste and health benefits. 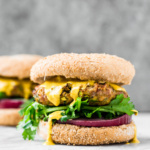 If you haven’t tried out Just BARE Chicken you definitely should – they have everything from boneless skinless chicken breasts to little chicken drummettes and more. I incorporate them into my recipes because their chicken stays super juicy and never has that off chemical-y taste that some packaged chicken products do. My go-to right now? Grilling up their organic chicken breasts with some fresh, organic fruits and veggies. I opt for organic proteins and produce whenever I can because I know they’re free of most pesticides, antibiotics, etc. Either way, choosing organic is important so choose wisely whenever you can. I wanted to share something a little fun with you on how I normally marinade my chicken (aka just throw it in a ziploc bag with a bunch of ingredients). Marinating your chicken is a game changer as it helps to soak up the delicious flavors that come out with the grilling, and keep the chicken extra juicy. Since the 4th of July is coming up I put together four easy marinades for your next chicken recipe. Grill up your chicken to pair with a fresh market salad, or make kabobs with your fave veggies! And be sure to check out JustBareChicken.com to see all four of my videos, plus more tips and ideas for Living Lean & Clean. 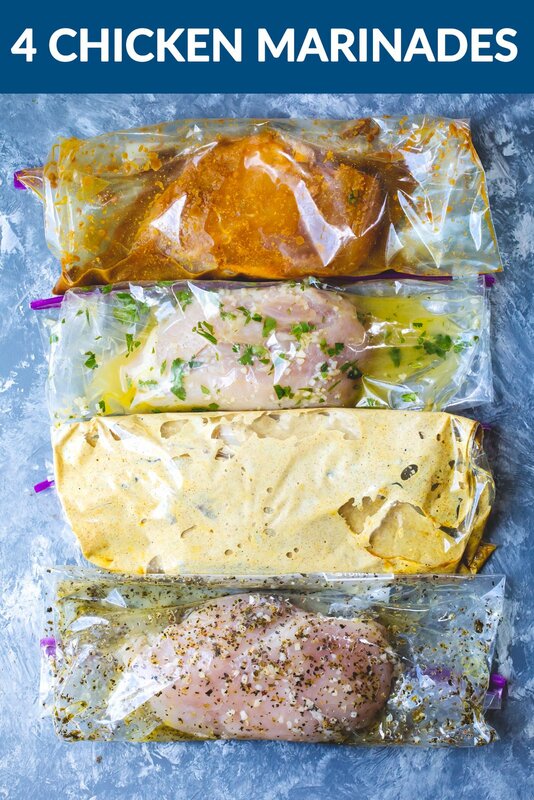 These four unique chicken marinades are perfect for adding delicious flavor to your chicken before grilling or baking. Each marinade is for 1 pound of chicken. For each of the marinades, place all ingredients into a Ziploc bag or a large ceramic dish. Add 1 pound Just BARE Chicken of choice to the bag or dish, and mix well to evenly coat. Let the chicken marinade in the refrigerator for 1-2 hours before cooking.30 minutes before you’re ready to cook the chicken, remove the chicken from the marinade. 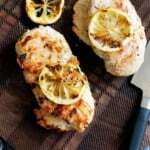 For boneless skinless chicken breasts: preheat grill to medium high and lightly oil the grate. Cook chicken breast 6-8 minutes per side, until juices run clear and chicken in no longer pink. This post is in partnership with Just Bare Chicken. 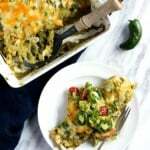 All recipes and posts are my own. Thanks for supporting AK and the brands who help make this site possible. 67 Responses to "4 Easy Chicken Marinades + Living Lean & Clean with Just BARE Chicken videos!" Can you please provide instructions for baking? Thanks! Hi Carly! You bet, here’s what I do – for drumsticks: bake for 40-50 minutes at 400 degrees F with the thicker part of the drumstick to the outside of the pan. For chicken breasts: bake for about 20 minutes at 400 degrees F.
Have you seen the documentary on Netflix called What the Health? I enjoy your recipes and plan to use several of them as we make dietary changes. I thought that you might like this documentary as you are very “health conscious”. I haven’t seen it yet, but have heard about it! It’s on my list to watch. Glad you’ve enjoyed these! We marinate chicken in marinade. Not the same word. Pinning this to keep my meals interesting this summer! Thanks! 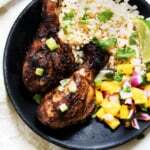 Perfect – these marinades will definitely spice things up! thank you for all of these, so nice that you’ve put together four of them! Always nice to have a lot of options to keep chicken from being boring! Agreed! I hope you get to try them all out! I used each marinade for one chicken breast, which is approx. 4oz (so about 1/4 lb)! Did I miss it? How many pounds of chicken for these recipes? Do you think you can make the marinades- put the chicken in- and freeze it? the just take it out and let it defrost in the fridge that way it will defrost and marinade the same time. What do you think? Hi Amy! I did some research and it looks like this should work out! LOL … I guess I should re-read a recipe before I jump in …I thought ALL of these recipes were yogurt based so tonight we are having Greek lemon yogurt chicken .. wondered afterwards why only the one recipe listed yogurt as an ingredient …oh well …fingers crossed it tastes good . Oops! I hope you found a marinade that worked out well! 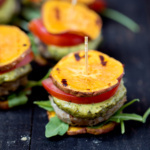 Lovely ideas – and really tasty! Just wondering if anyone has calculated the nutritional information per 100g for each marinated chicken breast? Just made the yogurt curry one! soooooo good! made the chicken so tender! I cut them really thin and then grilled them! also I got 3 chicken breasts out of the one recipe! Thank you! Amazing! Love that one. So glad you enjoyed! Do you put olive oil in the bag/dish for marinating? Yep! I add everything in the ingredients list for the marinade into the bag. Trying the Greek Lemon chicken today but what would thebe ingredients be for 1 chicken breast. I have to do it seperately as my daughter doesn’t like lemon. You can just marinate the one chicken breast in the above ingredients! 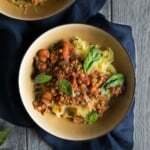 Do you have the nutrition information for the recipes? I didn’t calculate it for these marinades! Is there a recipe for these to be made in a slow cooker and where would I be able to purchase “Just bare chicken” if I wanted to? I believe you can just add these marinated chicken breasts to your slow cooker for about 4-5 hours on low or 2-3 hours on high (until they’re no long pink!) And take a look here to find Just BARE at a local store 🙂 I get mine from Target! I would love to do a bunch of these and not not cook right away. Can I put the marinade and chicken together in a freezer bag and freeze it to pull out and thaw at a later date? thaw and cook that is. Are the herbs you use fresh or dried? I use fresh cilantro and then usually use dried basil + oregano! Love your recipes ! Just wanted to clarify, the recipe states that each marinade is for 1 lb of chicken, but in your comments to a few people you state that each marinade is for 4 oz of chicken, which one is correct ? Hi Sandy! Thanks so much for clarifying – each marinade will make enough for 1lb of chicken (I just used a 4oz chicken breast in the photo examples). Can you use the same marinade more than once? Like use the marinade one day and use it the day after? I would refresh your marinade with each use! I have been reading about using moist methods of cooking as it produces less harmful carcinogens than dry heat methods. 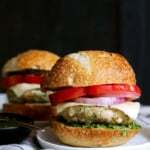 What marinade can I use for braised BL/SL breasts? I think any of them would be delicious, but might just skip the curry yogurt one if you’re braising. Enjoy! These are the absolute best marinades! The curry yogurt and Cilantro lime are our new favorites! We will be trying the Greek Lemon and the Tumeric pineapple again this week! Can you use normal soy sauce instead of tamari for the sweet turmeric recipe? The tumeric pineapple was incredibly tasty. I think I actually said, “Wow.” I will always refer to this post and AK for marinades. Glad you loved it! I use these ones all the time.